Game of Thrones fans alert- Hafþór Júlíus Björnsson who played the immense character called The Mountain has just given dietary advice to men's magazine GQ. Björnsson, who weighed 230 pournds seven years ago now weighs 396 pounds and is officially Europe's strongest man after winning the title last year. 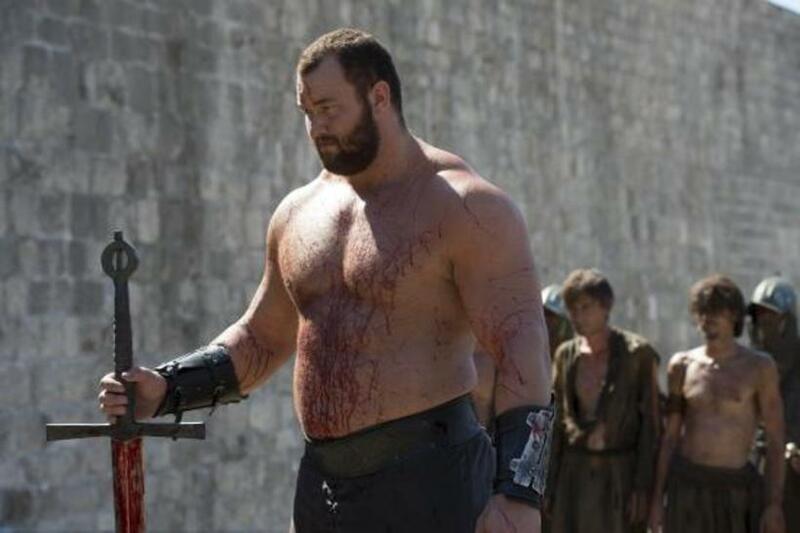 "You probably know Icelandic strongman Hafthór Júlíus Björnsson as “the huge guy from Game of Thrones who exploded that other dude’s skull with his hands.” It was one of the most shocking scenes in 2015 television, complete with over-the-top HBO-financed gore. And when you look at the real-life 6’9” man they call The Mountain, you think: He probably could crush another man’s skull with his bare hands. The guy comes from hardy Nordic stock (his grandfather was a farmer for 40-plus years), he hasn’t missed a workout in six years, and he can deadlift 990 pounds," writes GQ. Björnsson reveals that his size is due to rigorous weight training and eating six to eight meals a day. However, he keeps it healthy, eating a lot of meat and fish, sweet potatoes, good fats like cocoa butter and greens such as spinach, avocado and broccoli.